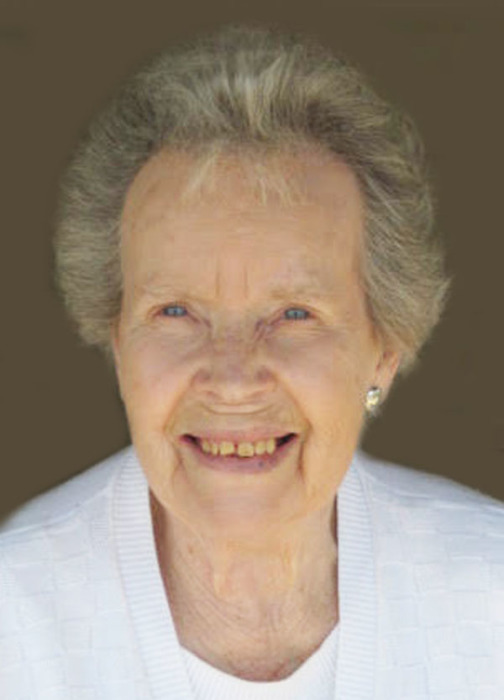 Ruth M. Sprague, 89, of Buffalo, Iowa passed away on Monday, July 16, 2018 at Genesis Senior Living, Aledo. Funeral services will be held at 10:30 a.m. on Saturday at McGinnis-Chambers Funeral Home in Bettendorf, Iowa. Visitation will be 5:00 – 8:00 p.m. on Friday evening at the funeral home. Interment will be in Rose Hill Cemetery, Buffalo, Iowa. Memorials may be directed to the Salvation Army, Iowa USFW, or to the Mercer Co. Foundation for Health (GSLA). Ruth was born May 5, 1929 in Lancaster, Missouri, the daughter of Ernest and Elva White. Following her graduation from Lancaster High School in 1948, she married W. Doyle Sprague in Green Top, Missouri on December 24, 1950. They celebrated 61 years of marriage prior to his passing in 2012. Ruth was a lifelong member of Buffalo Friends Church (Quaker Society of Friends). The church’s womens missionary society, USFW, was especially important to Ruth. She worked tirelessly in all aspects of the mission. One of her greatest accomplishments was being part of the publication of the Buffalo Friends Church cookbook, in which proceeds went to USFW. She also taught Sunday school for 40 years and was a youth fellowship leader for 15 years. She loved Jesus and lovingly challenged others to have faith and trust in Him. Ruth was known for her hospitality, fabulous cooking, and her generosity with the produce from her large garden. Ruth loved babies and had a soothing touch with crying infants. She was a devoted and loving wife, mother, and nurturing grandmother. Those left to honor her memory include her children, Vicki (Dennis) Palmer of Aledo, Illinois, Douglas (Kimberly) Sprague of Blue Grass, Iowa, Daniel Sprague of Buffalo, Iowa; 11 grandchildren; 15 great-grandchildren; and numerous nieces and nephews. In addition to her parents and husband, she was preceded in death by sisters, Betty Anderson and Mary Deere; and brothers, Richard and John White.